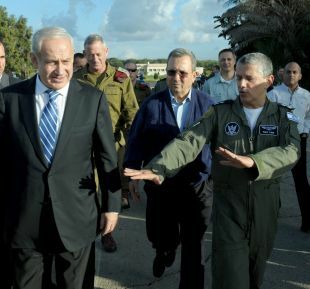 Few people wield as much influence on Israel’s strategic situation and on the degree of security the country’s citizens enjoy than the commander of the Israel Air Force. Israel’s air might, which in relatively quiet periods is exercised only fitfully and generally far from the eyes of the public, remains uppermost as the guarantee of the country’s security – second only to American diplomatic backing and military aid. This status is related to the professional quality of the IAF’s personnel, the ultra-expensive weapons systems it employs and, in large measure, also to the force’s organizational culture, which continues to look like a distant (and generally more successful) relative of the ground units. 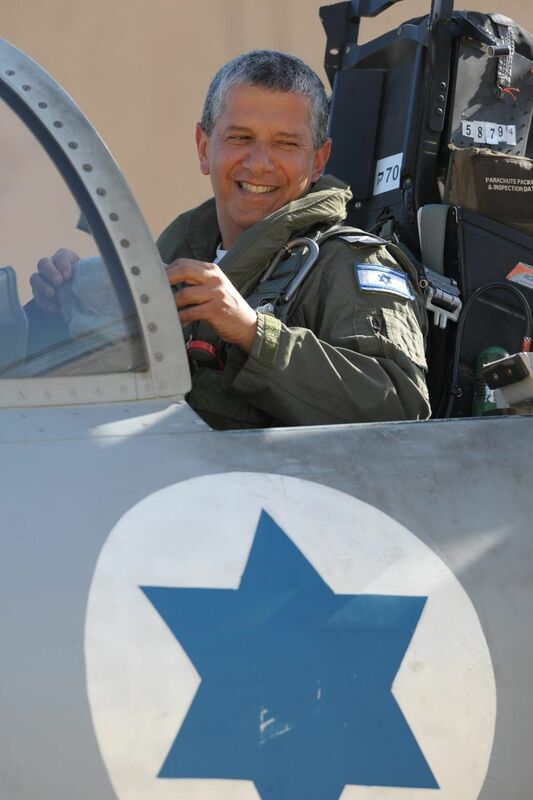 Earlier this month, Maj. Gen. Amir Eshel retired from active service in the Israel Defense Forces after a career of 40 years, slightly more than five of them as commander of the air force. Along with the traditional mission of the IAF chief – preparing the force for war – Eshel had an additional assignment: keeping that war at bay and preventing the country from sliding into an armed conflict. This was apparent in two campaigns. The first – attacks to block the delivery of advanced weaponry to Hezbollah – was conducted with limited power without the situation deteriorating into an all-out war in the north. As for the second – bombing Iran’s nuclear facilities – it was not implemented, though the air force trained for it vigorously, a task in which Eshel played an important role. He went about his business without angering his superiors, Prime Minister Benjamin Netanyahu and three defense ministers (Ehud Barak, Moshe Ya’alon and Avigdor Lieberman). In fact, all of them heap sincere praise on him. He’s referring primarily to the activity to thwart arms smuggling to Hezbollah through Syria and to other terrorist organizations in other sectors. Shortly after the civil war erupted in Syria, in 2011, Israel demarcated its red lines in the north: It would respond with military force to every attack on its territory from Syria and would act to disrupt the transfer of “tie-breaking” weapons systems to Lebanon. The fact that Israel pursued this policy actively without getting involved in the war in Syria, and in the general upheaval in the Middle East, is probably the most significant achievement that the successive Netanyahu governments can credit themselves with in recent years. Most of the information about the attacks draws on reports in the international media. What is the Israeli public not understanding about this story? 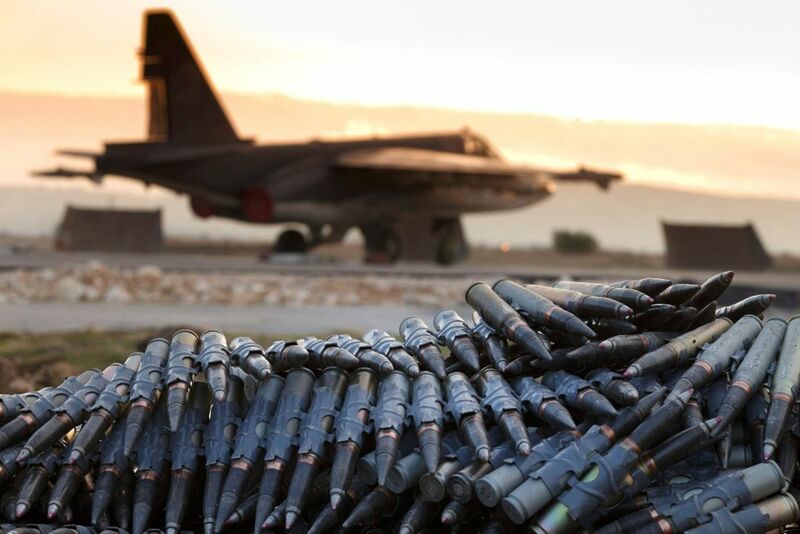 Did the air force adversely affect Hezbollah’s military capabilities? “Of things that Hezbollah wanted to have in its possession, a large part was unrealized. I will give you numbers, ballpark figures. Israel is coping with terrorism far from its borders, too. If you take the activity against terrorism in its newer sense – the campaign against the conveyance of strategic means of combat – it’s not that Israel didn’t do similar things in the past. It did, but the situation in the Middle East has changed. Until 2012, if you go back 10 years, there were very few preemptive operations, far from the border, by the air force. You can count them on fewer than the fingers of one hand. And there were operations, I don’t have to tell you, by the Mossad. Is it understood in Moscow, too? “Yes. There’s something else here, which we will be able to gauge only in hindsight, but in my view, our actions reduced the possibility of war. We didn’t eliminate it, it doesn’t mean that there won’t be some miscalculation tomorrow – anything is possible. But when someone feels that you know more about them than they would have expected, and when you’re determined to act, even when it looks impossible, and you act sharply and precisely, that doesn’t generate a desire for wars. Beginning in September 2015, the IAF’s freedom of action over Syria faced an acute challenge, following Russia’s deployment of two combat squadrons in northern Syria, with the aim of saving the regime of President Bashar Assad. Afterward, the Russians installed advanced air-defense systems, whose radar is capable of identifying every liftoff from an Israeli base, from at least as far as the northern Negev. Netanyahu went to Moscow quickly at the time, in order to arrange, with President Vladimir Putin, a mechanism to prevent aerial friction between the two air forces. Netanyahu and Putin met five times within about a year. In some of the meetings they were joined by the director of Military Intelligence, Maj. Gen. Herzl Halevi, and by the chief of staff, Lt. Gen. Gadi Eisenkot, alongside their Russian counterparts. How does it work, if you don’t coordinate with them? Agreement isn’t part of the story? It’s been almost two years. Have Russian planes or defense systems locked on to Israeli planes? Were there situations of near-confrontation? Still, when a pilotless plane – apparently Russian – appears suddenly in Israel’s skies, what happens? Eshel’s sober-minded approach did not conflict with his determination to develop the air force’s offensive weaponry. That’s apparent when he presents, for the first time, what he sees as one of the force’s key missions under his command. Didn’t Israel always have that ability? “Not really. The question is, how effective you are. There’s something here now that has been translated into plans. An achievement is possible that I consider phenomenal. It won’t end the war within three hours, but it will advance us to victory, to shortening the war, dramatically. The driving force here is the chief of staff. We were engaged in building these capabilities even before, but at the start of his tenure we sat together. That’s a conversation I won’t forget. He asked: Will you be able to create a kind of equivalent to Operation Moked? Moked is of course the most famous operation in IAF history: the destruction of most of the planes of the Egyptian and Syrian air forces in the first hours of the 1967 Six-Day War. The question is whether that capability might not be an enticement for the political decision makers at times, and could take the country into unnecessary places. Beginning in 2008, even before the rise in tension on the northern front, the political and security hierarchy in Israel was immersed in a dispute that divided it for years, on the question of whether to attack Iran’s nuclear sites. The issue was first raised for discussion toward the end of Ehud Olmert’s tenure as prime minister, particularly by the defense minister at the time, Ehud Barak. When Netanyahu took office, in May 2009, he immediately instructed the IDF to accelerate the operational preparations for an attack. In short order, a coalition formed of senior figures in the security branches who acted to restrain the attack ambitions of Netanyahu and Barak (the latter continued to serve as defense minister in the Likud-led coalition). The coalition consisted of three successive chiefs of staff (Gabi Ashkenazi, Benny Gantz and Eisenkot), two Mossad chiefs (Meir Dagan and Tomer Pardo) and a director of the Shin Bet security service (Yuval Diskin). At the time when the question first arose, Eshel was head of the General Staff’s planning directorate. Shortly before Meir Dagan’s death, he hinted, in an interview with Ilana Dayan on Channel 2’s “Fact” program, that the opposition of the heads of the security bodies had curbed the political decision makers on several occasions, when they ordered the IDF to prepare a practical option for an attack. In the end, Netanyahu and Barak did not force their view on the security experts. 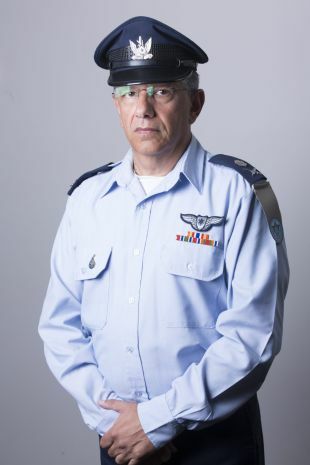 Security sources who were involved in the secret discussions told Haaretz that Eshel, who took over as IAF commander in May 2012, continued and intensified the agenda adopted by his two predecessors, Eliezer Shkedi and Ido Nehushtan – in upgrading the force’s preparations and honing its operational capability for an attack, while expressing reservations about a unilateral attack that would not involve the Americans. In practice, the air force commander successfully pulled off something that was almost self-contradictory. The air force’s stance was critical, as its personnel possess the sole professional authority to estimate the probability of success of such a complex operation. Eshel agrees to comment on the subject only indirectly; this is the only time in the interview when he seems to be feeling his way with extreme caution. “We have operational responsibility here,” he says. “That stands out sharply in the air force, because there are few people who understand this capability. We put our professional truth on the table very forcefully. What is possible and what is impossible. You ask about an additional level, the strategic level: Is it in fact right to attack? Discussions take place in closed, small forums. We are given the right to voice our opinion in the most senior forums. In the end, someone above us decides. Let’s say that in another 20 years, a historian of the air force asks you what the primary challenge was on your watch. Will you tell him that you engaged in improving the attack capabilities while pushing on the strategic brakes? Amir Eshel, 58, was born and raised in Ramat Gan. He was drafted in 1977 into the pilots training course. Subsequently, he commanded F-16 and Phantom squadrons, was the head of the IAF’s operations department, commanded the Ramon and Tel Nof air force bases, and served as both head of an air force wing and the force’s chief of staff. In a joint exercise held recently in the United States, Israel and Jordanian aircraft took part in parallel, and Israeli planes – according to foreign news sources – reportedly fueled Jordanian planes in midair on the way to an exercise in Nevada. 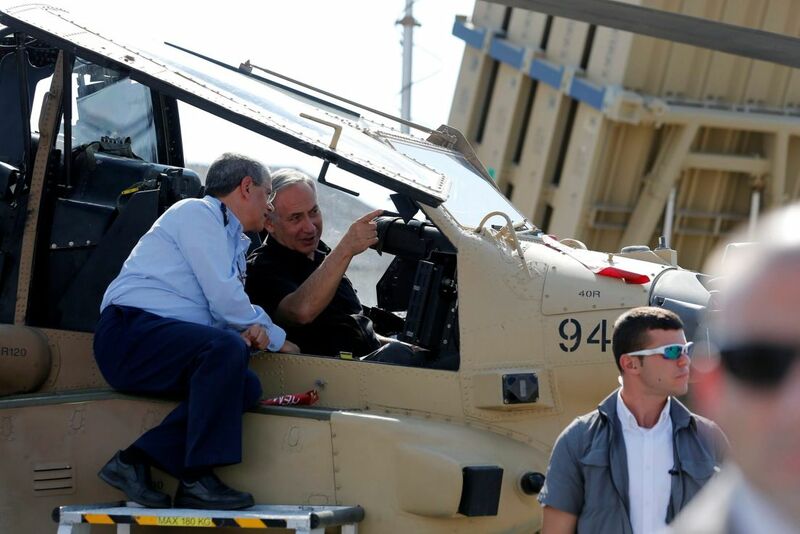 Two years ago, The Wall Street Journal reported that Israel transferred American-made Cobra combat helicopters to Jordan, after they’d been phased out of use in the IAF. Wilayat Sinai, as the Islamic State branch in the Sinai Peninsula is called, has repeatedly accused Israel of using unmanned aerial vehicles to attack its personnel, in the service of Egypt. It’s clear from the reports that the wars in the Arab world have allowed Israel to find new allies, along the contours of these new regional conflicts. 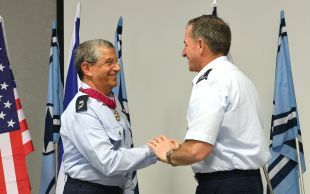 The August 10 ceremony at which the new IAF commander, Maj. Gen. Amikam Norkin, was installed was attended by the chief of staff of the U.S. Air Force, Gen. David Goldfein, who conferred on Eshel the Legion of Merit award. 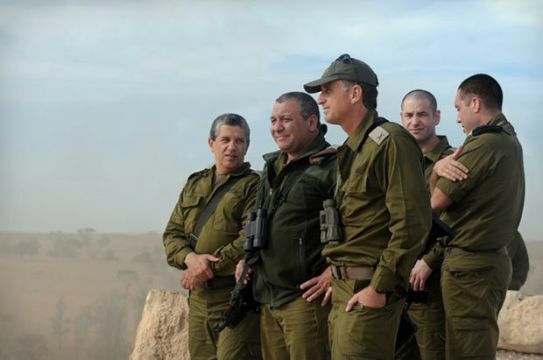 During Eshel’s tenure, about 15 commanders of foreign air forces paid a total of 38 visits to Israel. The air force’s dilemmas in the territories are of a completely different order. According to IDF data, 2,125 Palestinians were killed in Operation Protective Edge, the most recent war in the Gaza Strip, in 2014. A large number of those killed died in aerial attacks. The IDF acknowledges that there were 761 civilians among them. However, the United Nations Office for the Coordination of Humanitarian Affairs claimed that civilian deaths were far higher, totaling at least 1,483. 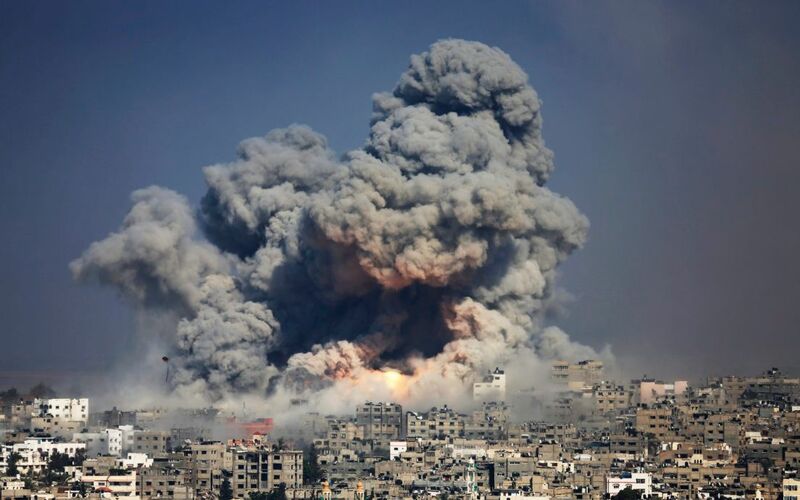 “In our case, if we were to make a mistake in planning the attacks, you could get up the next morning with 2,000 noncombatants killed in Gaza,” Eshel suggests, adding, “But when I look for a moment at the data and compare with armies like ours elsewhere... I don’t claim we are more moral than they are. When the subject comes up in meetings with the Americans, with other members of the coalition [the international coalition, whose planes are attacking ISIS targets in Syria and Iraq] – we are far ahead of them in these indices, and our mode of operation is highly regarded by our colleagues. Compared to others, we kill more terrorists and kill fewer noncombatant civilians. During the war, Gideon Levy published an extremely critical column about the air force in this paper. Published on July 15, 2014, it was titled, in Hebrew, “The worst to the air force” [a play on the iconic slogan, “The best to the air force”; title on the English edition's website: “Lowest deeds from loftiest heights”]. Eshel: “That pinched and it stabbed. I didn’t like what he wrote, but it’s part of freedom of expression. After the piece appeared, demonstrators wearing white robes smeared with blood showed up at the gate of the Hatzor base, during the war. But in the end, our role is to defend everyone. “The type of confrontation is not going to change in the coming campaigns, not in Gaza and especially not in Lebanon. That is my working assumption. It’s going to become more intensive than it’s been until now. I will have to choose whether I knock down this house, because there are two rockets in it that are going to be fired at Israel at some point, or not to hit it, because maybe I will harm enemy civilians. Every case has to be examined at the level of context and proportionality. That’s a commander’s decision – a moral decision intended to defend the country’s residents. I know there are rockets there, and I know there is also a family there. And now I have to decide what to do if those rockets hit an identical house in Israel where there’s a family, or four families. Those are the dilemmas. And I will have to ask myself what we did in order to lower the possibility that this family [of the enemy] will be harmed. What we told them before the confrontation, during the war. What means we adopt. “It’s clear to me that we will not be able to avoid this entirely, there’s no question of that. Hence my recommendation to the people of Lebanon – you’ve heard it a hundred times: They know exactly what they have in the house. They are well aware who is wandering around there in 200 Hezbollah villages in southern Lebanon – and they will be well advised not to remain at home. Those who do not remain at home will survive. We will not harm them. They have to understand that Hezbollah has married them to these means [of combat], and we cannot tie our hands and say that it’s impossible to attack there. We will have no choice but to act. We will not be able to leave Israel undefended when a thousand rockets a day are being fired at the country. Anyone who thinks we will now wait three weeks [once a war has started] before taking action – that will not be the case. Eshel also notes a large improvement in the IAF’s ability to attack targets within a limited time – it’s increased by a factor of four or five in the past few years. The force has also tightened its joint activity with the ground forces, amid strikingly short security distances from those forces during combat, allowing it to assist in attacking enemy forces that are threatening IDF units even in densely built-up areas. At the same time, intercept capability has also been enhanced. Since 2011, when the aerial defense system started to intercept rockets fired from the Gaza Strip, 1,320 rockets have been intercepted, with a 90-percent success rate for the Iron Dome system (and in at least one case, the Arrow system). Firing has also originated from Lebanon, Syria and Sinai. Additionally, in the past five years, 10 UAVs that infiltrated Israeli airspace from various countries have been shot down. In contrast, the air force continues to seek solutions for how to respond offensively to short-range rockets. In wartime, it will be very difficult to deal effectively with the tens of thousands of short-range rockets Hezbollah has deployed in the heart of crowded villages in southern Lebanon. Can the air force continue to function under an offensive of tens of thousands of missiles and rockets from Lebanon? At the end of 2016, the air force received its first F-35 fighters from the U.S. (and with that country’s financial assistance) – the most expensive planes Israel has ever purchased. Eshel has flown the aircraft 10 times in the past few months. IAF headquarters, under him and his predecessor, Ido Nehushtan, backed the controversial acquisition unequivocally. The plane’s integration, Eshel says, will be a “totally different event” from the air force’s point of view. A plethora of American media reports claim the plane is a white elephant that will implode, that the project is riddled with hitches and is the most expensive in history. And your response is “Nonsense”?